To create a dream family bathroom with a traditional touch that would complement the period in which the house was built. 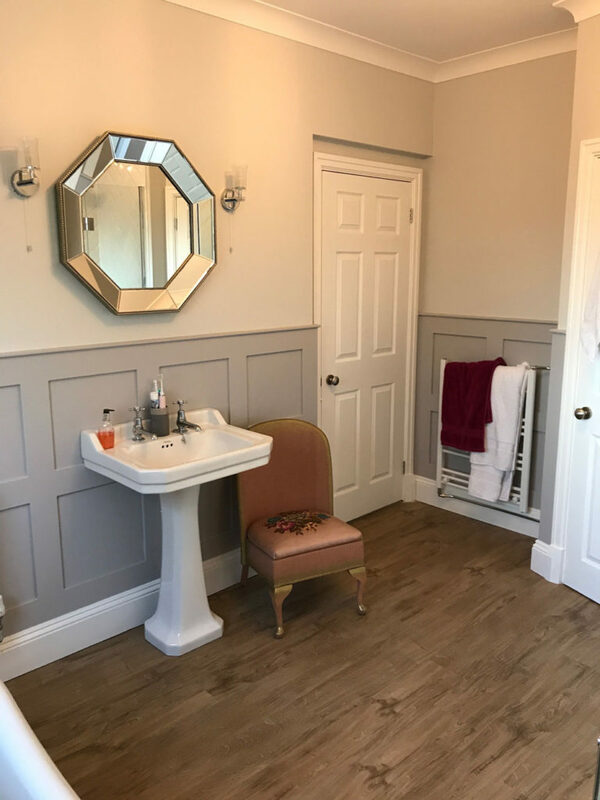 With the character of the property period in mind, we designed a practical as well as aesthetically pleasing bathroom suite that incorporates a freestanding bath with wall mounted bath mixer, walk in shower enclosure and an ample amount of storage space is gained through a traditional wall mounted unit. 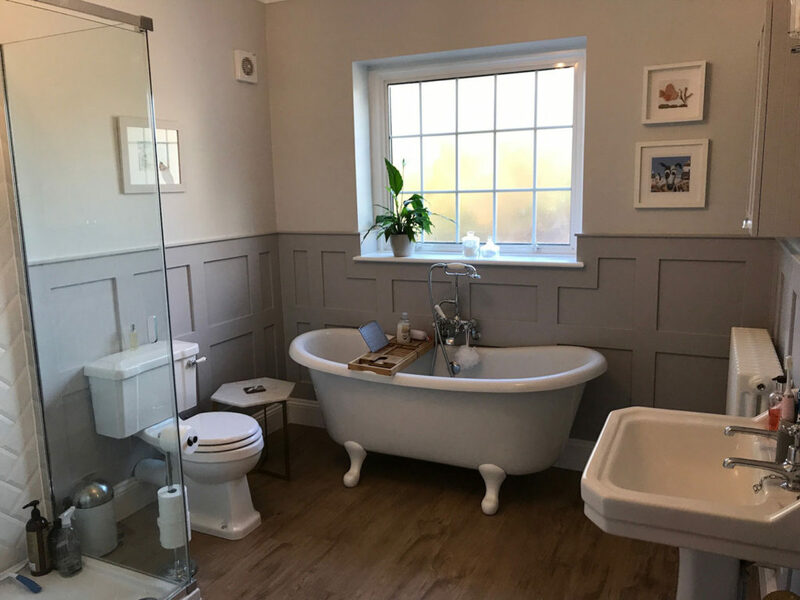 "After having a bad experience with a cowboy builder, we wanted to ensure our new bathroom was installed by a company known for its quality and finish, that’s exactly why we went to Bathroom World and we’re happy to say that’s exactly what we got. 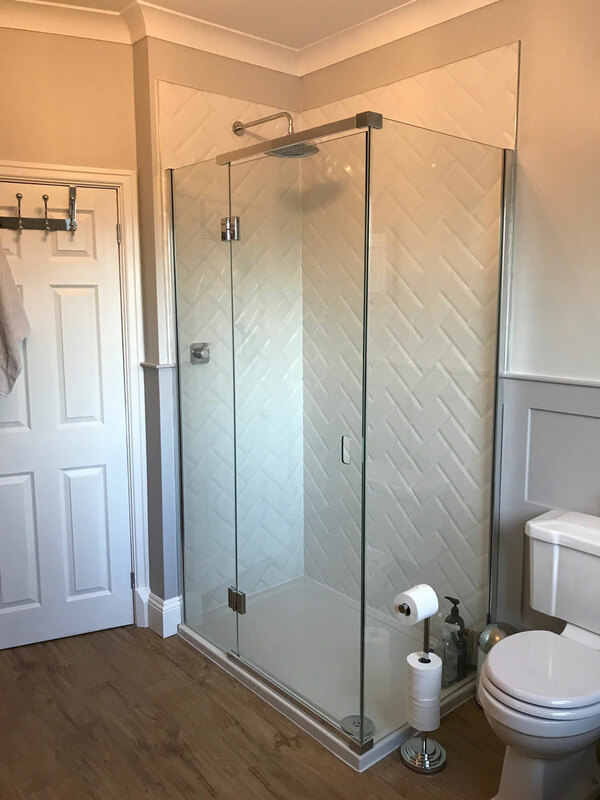 All of the team were brilliant from start to finish, from the design and helping us create the perfect plan, to the team installing - they were all very professional, polite, tidy and have left us with our dream bathroom. We liked them so much they’re back in 2018 to create an ensuite for us! Big thanks to all involved."